The Customs Union of three from a Belarusian perspective. On Friday, the Russian State Duma ratified a suite of international agreements regulating work of the Customs Union of Russia, Belarus and Kazakhstan. This is yet another step in the difficult process of coordination and harmonization of customs rules and procedures between the three countries. The Customs Union will create a common market of around 170 million people on a territory comparable to NAFTA’s. According to experts, just the railway tariff alignment would increase cargo turnover in the region by 30 %. Obviously dismantling the customs barriers between the three participants would be to the advantage of both member countries and the rest of the world. The Customs Union is to start operating on July 1, and the work is gathering pace as there is so little time and so much to do before the deadline. However, though documents are being signed and ratified and all three countries are moving towards launching the Customs Union, at least one of the member states seems to feel a bit dubious about participating in this project. 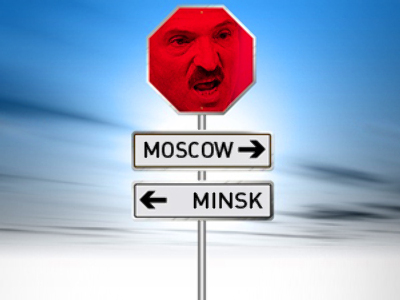 Minsk began criticizing the Customs Union even before the basic documents were signed. 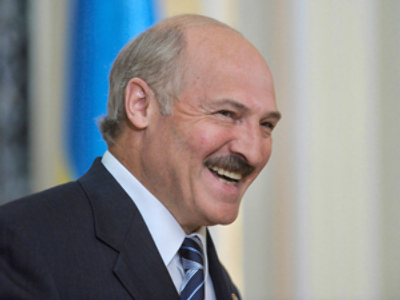 On the eve of the EurAsEC Interstate Council’s decisive session in Minsk last November Belarusian president Aleksandr Lukashenko expressed doubts about whether his country’s interests were taken into account during the negotiating process. “Let’s have it straight, I am worried about whether the Belarusian economic and foreign policy interests were respected and protected while the terms of the Customs Union were being adjusted”, he commented. After the session he said that the Customs Union would, first of all strengthen Russia’s positions, and expressed hope that Belarus and Kazakhstan would not remain in the back seat and Belarus would enjoy economic benefits from participating in the Union. In March this year, the Belarusian president declared that Belarus does not need the Customs Union with exemptions: “We are building the Customs Union. But we must understand that it is doomed if, at this stage, we start making amendments and exemptions which contradict this process or inventing some special models. If we create the Customs Union we must be guided by its classical definition and principles, which are commonly known. Initially we agreed on such a Union”. However, if Belarus saw no benefits from the Customs Union why sign the documents and participate in the organization? Besides, despite all the criticism the Belarusian president says there is no intention to leave the Union: “We have just started creating this union. …To leave it without even entering it would hardly be right. Let's see how the atmosphere develops”. Some analysts accuse Belarus of seeing the Customs Union only as a way of solving the problem of tariffs on Russian oil. Oil and oil product tariffs are, indeed, a serious problem for Belarus where refining companies provide, according to different estimations, from 20 to 50% of the country’s taxes just a couple of years ago. Meanwhile, this year the refineries had to operate with negative profits for several months when Russia increased its tariffs. Could the Belarusian leadership be so naïve to think that the Customs Union would make Russia change its stance at once? In fact, the issue of oil and tariffs was obvious and it was discussed long before signing documents on the Customs Union in November 2009. Minsk hoped the problem would be solved after the creation of a Single Economic Zone between the three members of the Customs Union in January 2011. Such a Zone is seen as the next stage of a trilateral integration and implies no barriers or tariffs within its borders, including creation of a single energy market. 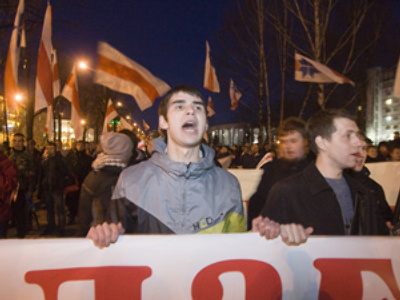 However, in early 2010 its creation was rescheduled for January 2012, which gravely disappointed the Belarusian leadership. Another problem for Belarus is Russia’s planned Baltic Pipeline System-2, which must begin operating in 2012 and will cause Belarus to lose much of its oil transit flows. “The core problem here is that Russia’s traditional oil-fields are nearly exhausted. The new ones will be tied to a new pipeline system, just as the old fields in Western Siberia were tied to the old pipeline. It appeared that for Russia it was more efficient to link new oil-fields to St. Petersburg to transport oil through the Baltic sea to the large and rich markets of Germany and Northern Europe”, says political analyst Yury Shevtsov. Obviously, importing oil from Venezuela began a couple of weeks ago and came as a forced reaction to the new situation. “Construction of the Baltic Pipeline System-2 is maybe the main reason for Belarus being interested in Venezuela’s oil. Russia is creating conditions to divert oil from the Belarusian route and Minsk has to find alternatives. Belarus has agreements with Venezuela for the next year on purchasing 10 mln tons of crude oil. They were signed while proceeding from the hypothesis that exemptions within the Customs Union will remain”, says Yury Shevtsov. He believes that this route of supply is reasonable: “At the moment we have $61 of profit per ton of oil. It is fine comparing to what we can gain refining Russia’s oil with tariffs. Besides, Belarusian refineries in the past six months had to reduce oil processing by 40%, so they have free capacities to work with Venezuelan oil”. Expert says that it is possible that Belarus will launch a similar project with Iran this summer. 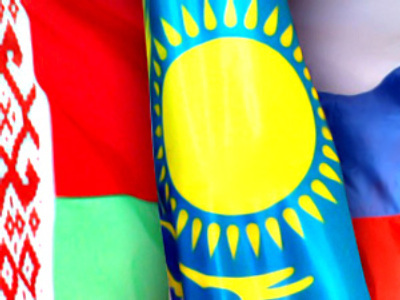 Besides, there are hopes that the Customs Union might, in the end, help Belarus get a broader access to Kazakh oil. “The supply of Russian oil to Europe is likely to decrease. This is an objective process. At the same time, Asian oil must go to Belarus. Kazakhstan exports oil to Europe and pumps some quantities through Belarus and, in any way we will get some part of it”, says Yury Shevtsov. However, there are inevitable problems with this project. At the moment there is only one pipeline that can deliver oil from Kazakhstan to Belarus with a capacity of around 10 million tons a year. However, if the Customs Union makes the Kazakh transit cheaper there might be opportunities to expand this capacity. Belarusian experts do not believe Minsk would benefit from the Customs Union in its current version. “I do not think that the Customs Union will succeed with exemptions, when Russia can unilaterally impose these exemptions. It is possible that the Customs Union will repeat the fate of the CIS and the Union State – there will be endless rows, rapprochements then a rolling back. However, without exemptions the Customs Union would be very useful to us. Belarus is an industrial country and it needs access to large markets”, says Yury Shevtsov. 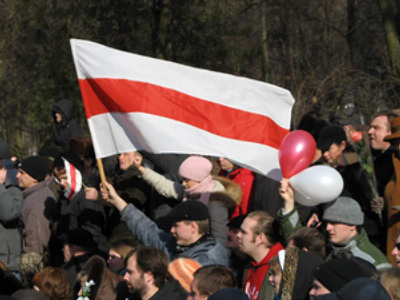 Economist and president of the Mises research center, Yaroslav Romanchuk, believes no version of the Customs Union would do any good for Belarus: “The Customs Union is unbeneficial to Belarus no matter who its partners are. Minsk does not have matching preferences for all commodity sections with any of our neighbors. It would be better to work out the possibility of cooperating in a free trade zone”. However there is another – political – angle of the Customs Union issue in Belarus. Obviously Aleksandr Lukashenko is going to take part in the next presidential elections, which must take place either at the end of 2010 or at the beginning of 2011. That means the presidential campaign is already under way in Belarus and any statement about the Customs Union must be analyzed from this position. 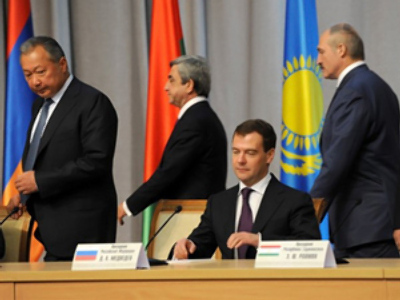 Minsk joined the Customs Union in anticipation of the Free Economic Zone, which was about to start in January 2011. In that case, the Belarusian leadership would have felt much more confident and Lukashenko could be reelected as a champion and integration leader. But in the current situation, the presidential perspective looks much more ambiguously. A new Russia–Belarus oil tariff conflict (which became traditional for winter months) could easily undermine the Belarusian leader’s positions. So, in this situation the Belarusian president’s only choice would be to criticize the Customs Union and make Russia the scapegoat responsible for all the difficulties that Belarus faces. This could be critical for mobilizing the electorate. 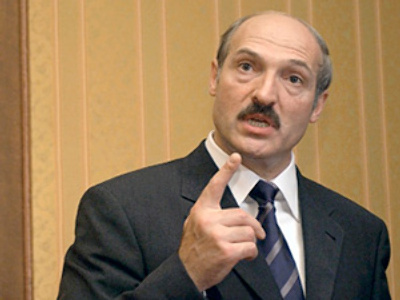 “Aleksandr Lukashenko reduces the Customs Union to a purely political issue. Now he can use harsh rhetoric to consolidate part of the Belarusian elite, Belarusian directorate. He would blame Russia for the worsening social situation in Belarus, for lower salaries, for higher prices for communal services. However, Lukashenko will be very careful not to blame Russia as a whole. 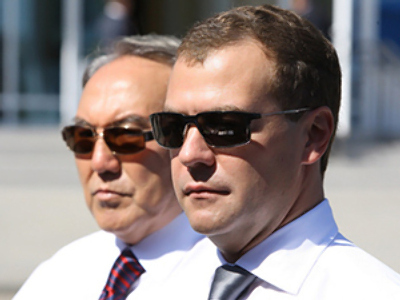 He would blame Russia’s oligarchs, Putin, Gazprom,” says Yaroslav Romanchuk. Thus, allies may soon enter another series of mutual pricks and accusations. However, that should not be taken to heart as the Belarusian and Russian presidential campaigns would influence bilateral relations much more than the real economic issues.